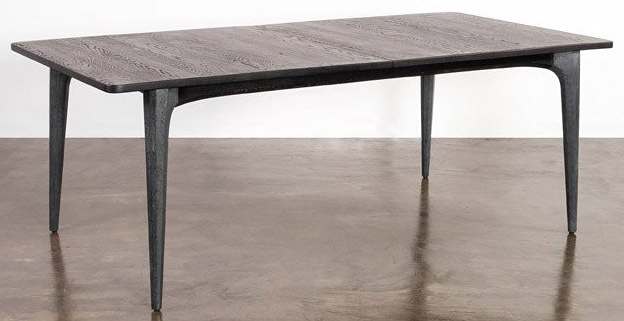 The Salk Dining Table features a Brutalist architecture, industrial and bridge inspired design made with high quality craftsmanship. Salk’s solid oak tabletop can also be expanded from 78¾”- 94½ wide using the clever extension mechanism, which can be easily managed by a single person. 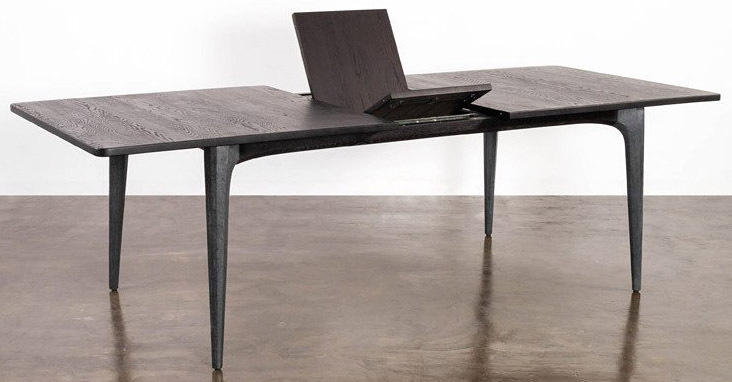 The tabletop then rests on monolithic inspired hand finished and sculpted concrete legs. This expandable table can seat 6-8 people comfortably and available in seared oak and charred oak.